On May 22, Japan held the annual CHAdeMO General Assembly 2013 event. Almost 250 members were on hand to discuss last year's CHAdeMO achievements and the future outlook of this standard. 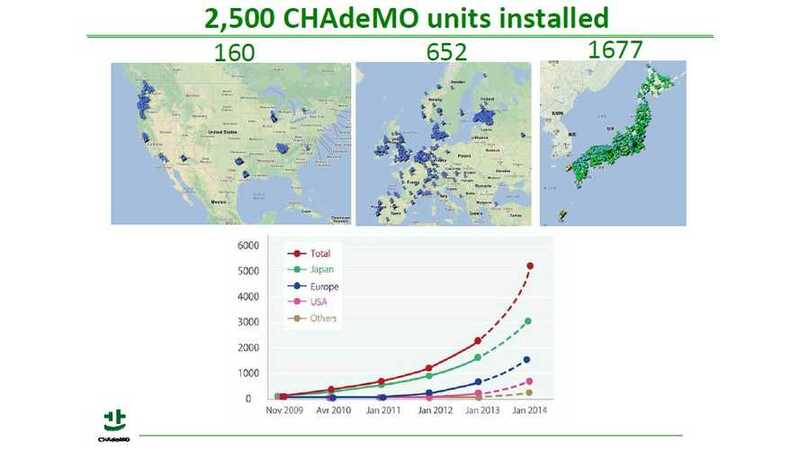 CHAdeMO President Toshiyuki Shiga presented some interesting data about the CHAdeMO network, including information that stated CHAdeMO reached 2,500 charge points worldwide earlier this year. Most of those chargers are in Japan. 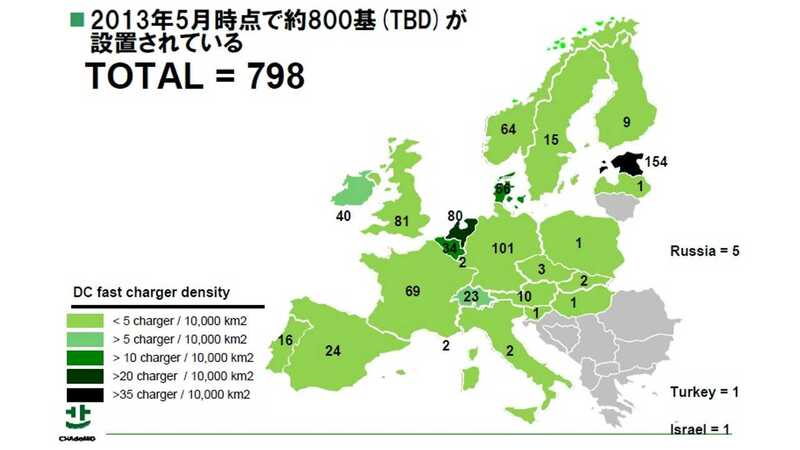 CHAdeMO expects that before end of the 2013, some 4,000-ish will be installed worldwide. But on the slides below, which were also presented at the CHAdeMO General Assembly, we see additional maps of the US and Europe. 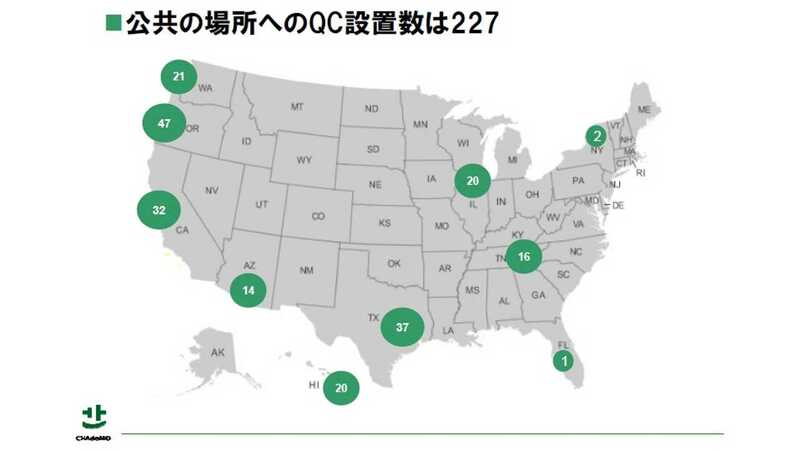 From these slides its seems the US is now home to 227 CHAdeMO charge points. Europe is home to roughly 800. We do know that most CHAdeMO installations in the US comes courtesy of ECOtality (approx. 80 - but still far below the 200 that should be installed by now under ECOtality's EV Project) and AeroVironment (another several dozen CHAdeMO chargers). The US seems to be on track to have 300 CHAdeMO charge points by the end of 2013 (courtesy mostly of the 48 added by Car Charging Group) and possibly 400 by the close of 2014.